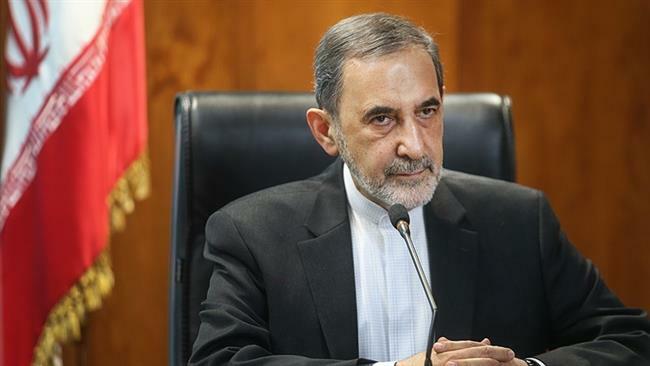 “Iran’s presence in Syria is for the sake of defending the axis of resistance according to agreements between the Islamic Republic of Iran and Syria,” said Ali Akbar Velayati, the Iranian Leader’s Aide on International Affairs. (i14 News ) – Leader’s Aide on International Affairs Ali Akbar Velayati asserted on Monday that the Islamic Republic of Iran will continue backing Syrian government in the face of terrorists and aggressors. Addressing the reporters and journalists, he made the remarks on Monday, in Tehran, on the sidelines of the International conference of lovers of Ahlul Bayt (AS). Mr. Velayati then recounted how the International conference of lovers of Ahlul Bayt (AS) was moving forward. “Soon we will designate the members of the committees of the conference to discuss issues in areas of politics, economy, and ideology,” reassured the former foreign minister of Iran. Referring to remarks made by some westerners which have claimed that Iran is destabilizing the region with presence in Syria, he underlined that the region belongs to the people of the region. “We are the main countries in the West Asia and it is our right to answer the call of help from the friendly nations of the region,” he highlighted. “If we are asked to provide advisory or auxiliary help to the forces of Resistance Axis, we will reply yes. If we are in Iraq and Syria, it is because the legitimate governments of these countries have asked for our help,” he maintained. “UK, US, and France are not the countries of our region, so how they have the right to interfere in the affairs of the region and accuse Iran of playing destabilizing role in the region of its own,” he condemned the position undertaken by westerners towards developments in the Middle East. “It was a milestone in the history of the Palestinian struggle,” said Secretary General of the World Islamic Awakening Assembly on the fall of the Israeli jet fighter. “One of the major countries in the resistance axis observed its legitimate right to defend its territorial integrity. It would not have happened if the Zionist jet fighters had not made the aggression. Israel should be aware that if it repeats such an aggression, other governments have the right to defend their territory; therefore, Syria has the right to do so,” he added.